Sago palms are one of the surviving wonders of a time when dinosaurs roamed the earth. These ancient plants have been found fossilized from the Mesozoic era. They are not truly palms but cycads and are noted for their hardiness and tolerance of numerous growing conditions. Their very toughness means few issues arise when growing the cycad, but sago palm wilting can signal a serious condition. Learn the causes of sago palm leaves drooping and what to do to save your plant’s health. Planting a sago palm in your landscape means you have a living fossil that is unique and ancient. These amazing plants resemble palms but are in a class all to themselves. Their leaves and growth habit are similar but they produce a cone rather than a flower to reproduce. The large, slow growing trees bear feathery, needle-like leaves arching from the trunk. These may grow up to 4 feet long and are a main feature of the sago. Wilting sago palm plants may signal drainage issues or more likely a nutritional complaint. The stiff leaves of a sago palm truly do resemble those of a palm tree with numerous smaller leaflets comprising the entire leaf. New leaves are softer until they harden in a few weeks and while they are growing, old leaves are turning yellow and dying. This is a normal part of the growing process and nothing about which to be worried. However, if there is overall sago palm wilting, steps should be taken to discover what is going on with the plant. Treating a sick sago palm can be as simple as providing certain nutrients or as complex as changing the soil and growing conditions. A soil test can provide the first clues as to why your sago palm looks sick. Ensure that water percolates freely in the planting medium and amend the soil if it is too retentive. This is also important when fertilizing the plant. Water needs to drain freely to remove any salt build up from feeding the plant. Location – Sagos can tolerate full to partial sun locations. They are also tolerant of drought for short periods once established. That being said, when new leaves are forming, it is important not to let the soil dry out or leaves will wilt and could die. Irrigation – Water weekly in the summer but diminish watering in winter. It is also crucial not to plant the cycad in boggy soil. Sagos prefer soil on the dry side and the caudex, which is the heart of the plant, will rot and cause leaves to sicken if grown in excessively wet conditions. Rot – If you have soft, mushy spots in the caudex and the foliage is yellowing and limp, you may be losing your plant. You can try removing the leaves and using a sharp, sterile knife to remove rotten sections if the whole caudex isn’t infected. Soak the plant in fungicide and then seal the open cuts with melted wax. Replant the caudex in sand or pumice and watch it carefully for up to 6 months. Treating a sick sago palm caudex for rot several times during this process may be necessary, so check the heart every week for new signs of rot. Nutrient deficiency – One of the more common nutritional deficiencies in cycads and true palms is manganese deficiency. Frizzle top is the disease caused by too little manganese. 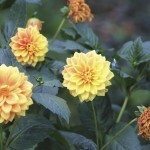 Leaves fade, yellow and are limp and frizzy at the edges. Apply manganese sulfate as soon as you see these signs, using the manufacturer’s instructions on method and amount. It may also be necessary to do a pH test on outdoor soils and amend high pH soil to increase the plant’s ability to uptake the manganese. Fertilize the plant 2 to 3 times during the growing period per year. Pests – Insect pests can also take their toll on sago palms. Feeding activity can result in sago palm leaves drooping due to the energy that is being stolen from the plant by sucking sap. Most pests aren’t seriously dangerous to the health of the plant but can slow growth and leaf production. Check for scale, mealybugs, and spider mites and combat with horticultural soaps and by hand rubbing off the pests on leaves. Plants in shade are more susceptible to mites and mealybugs, so try relocating the plant to a brighter location to repel these pests.